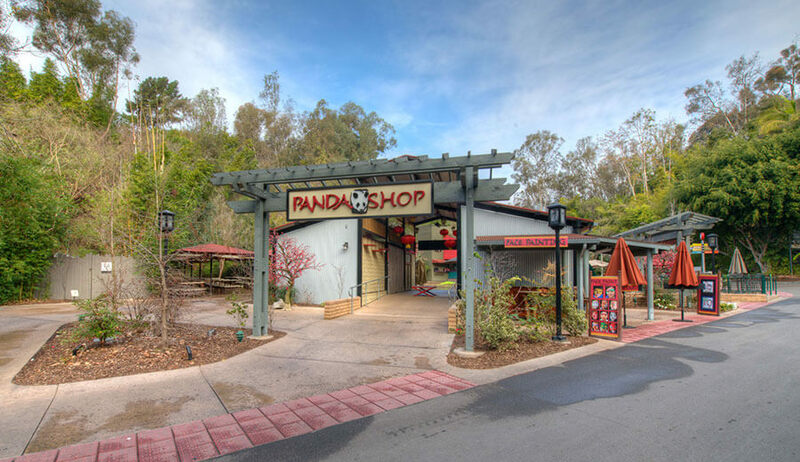 The Panda Shop is a 1,465 square foot retail shop located in the Panda Canyon of the San Diego Zoo. 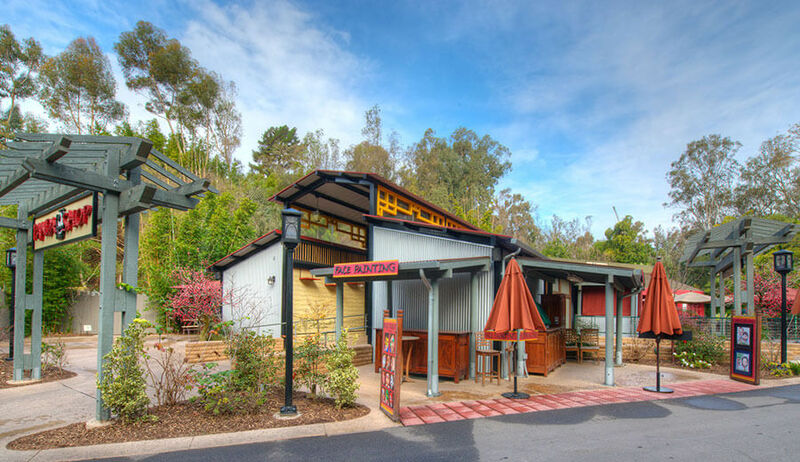 The shop is designed to mimic a rustic Chinese outdoor marketplace that had been pieced together over time. 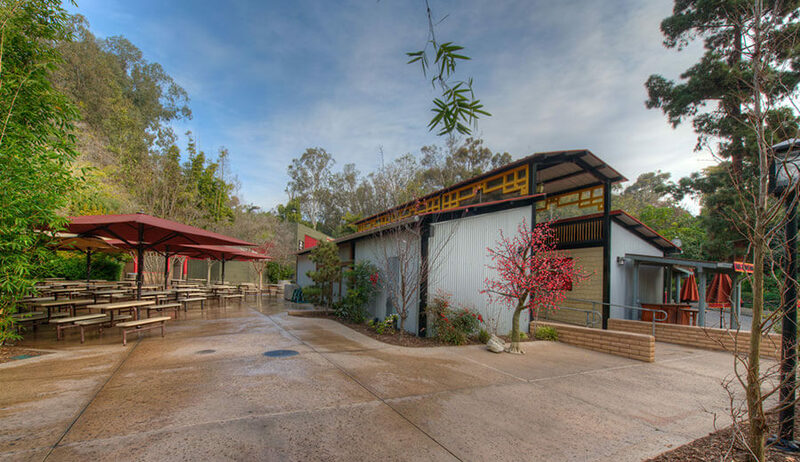 The central breezeway, adorned by hanging Chinese lanterns and dragon kites, is flanked by two retail wings which give the sensation of walking through a village market. 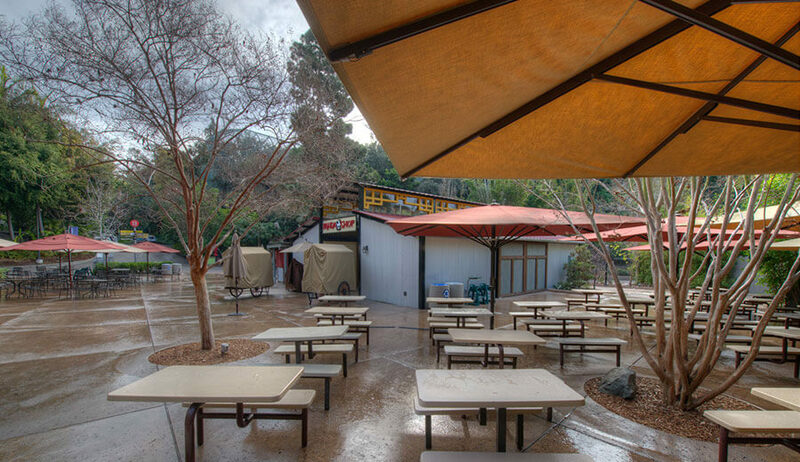 Eclectic materials such as corrugated metal siding, rusted roof panels and wooden shake shingles further exemplify the piecemealed look. 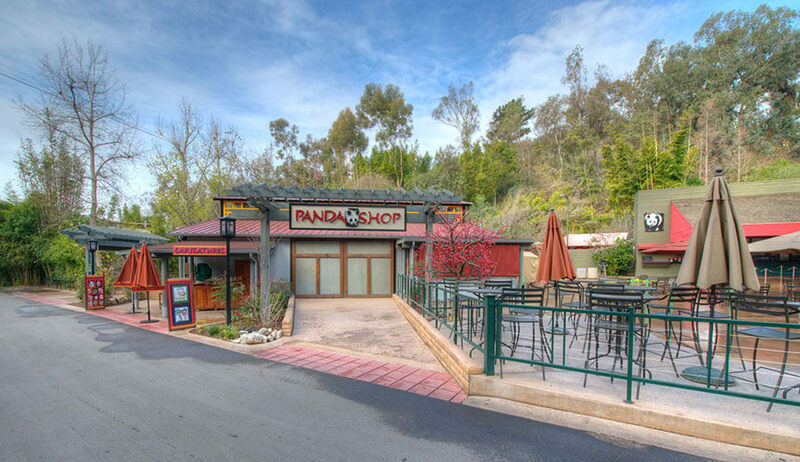 The Panda Shop has three outdoor kiosks which house a caricature booth, a face painting booth and the very popular Sake Sensations. 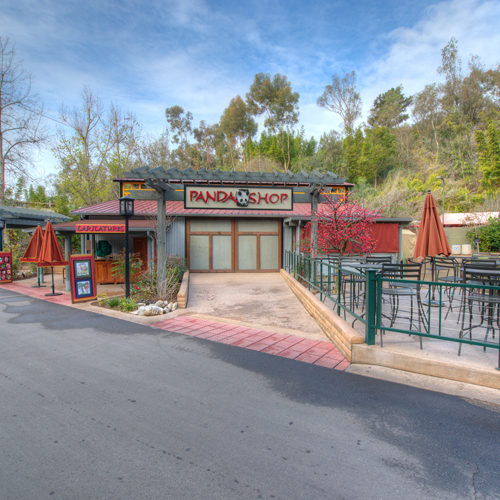 Two large wooden gates frame the entrances to the shop and multiple roll-away retail carts spill out to the surrounding site to add that final touch to the Marketplace feel.